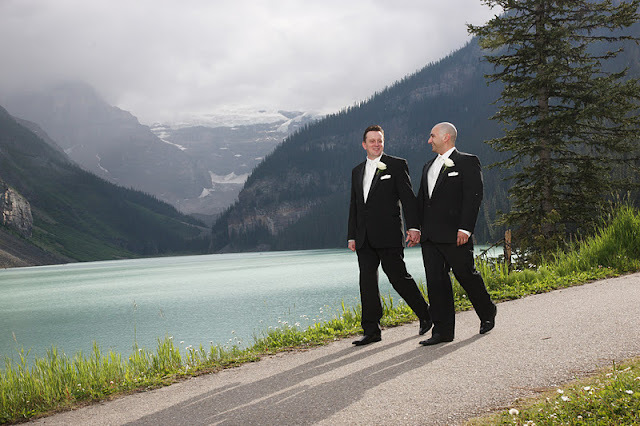 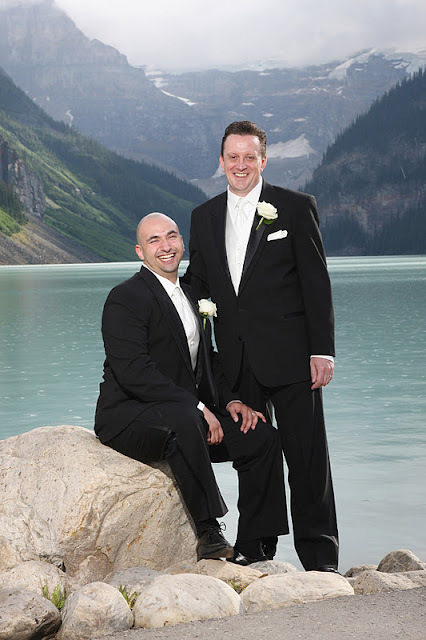 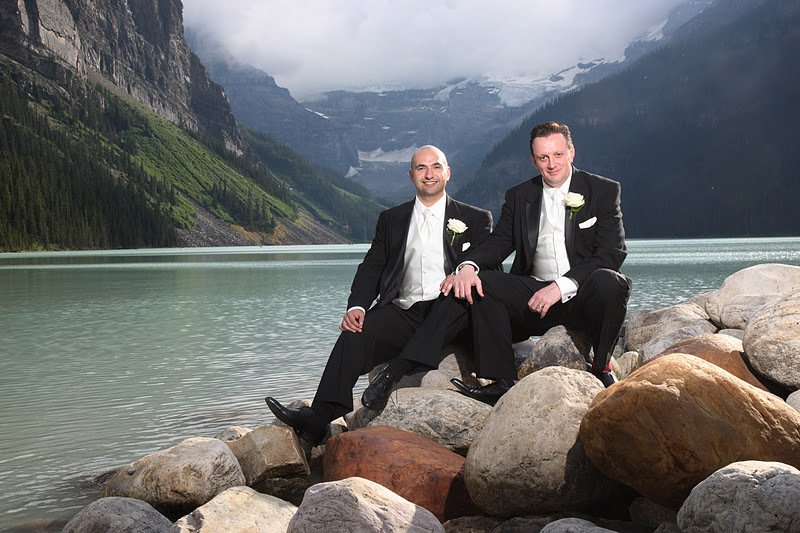 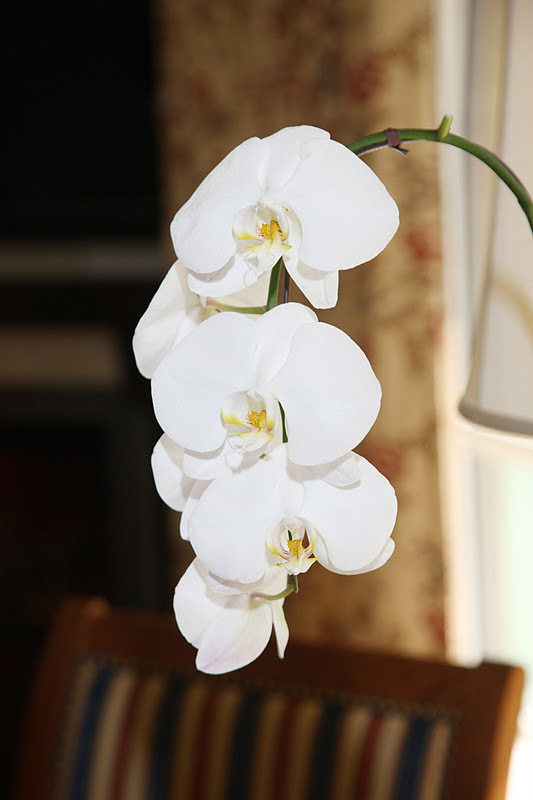 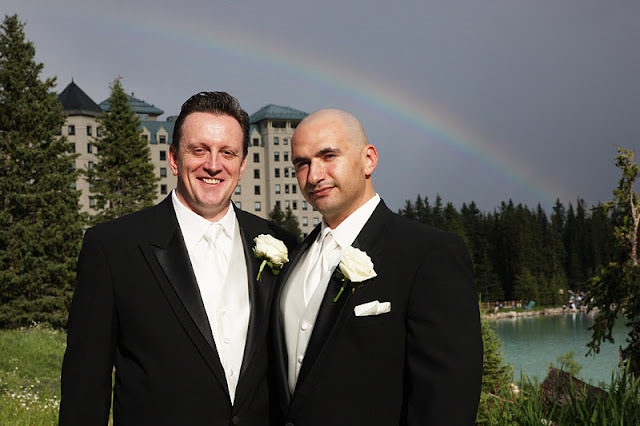 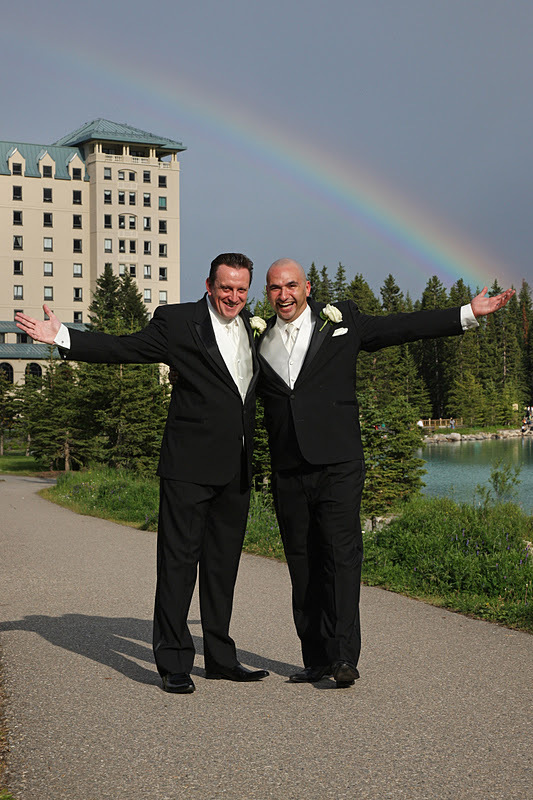 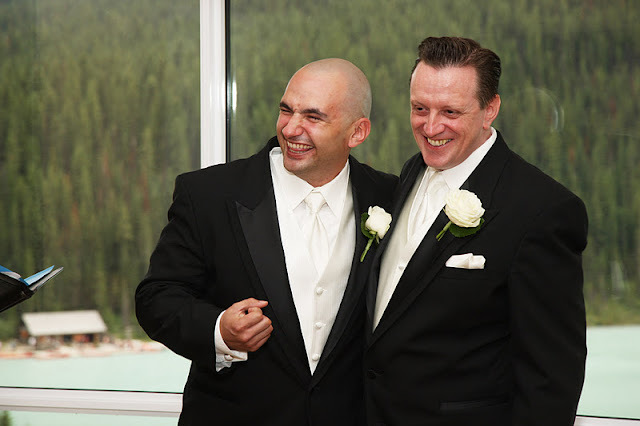 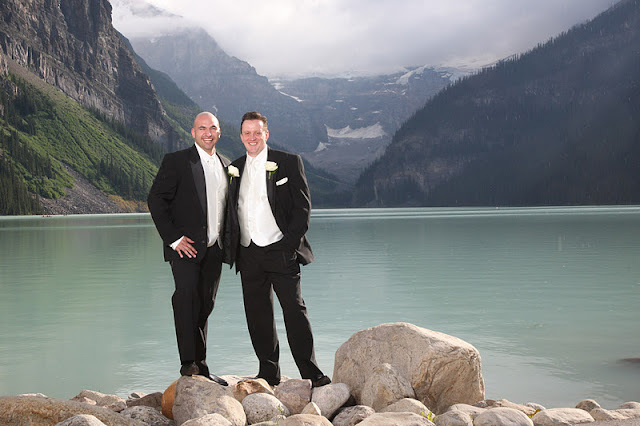 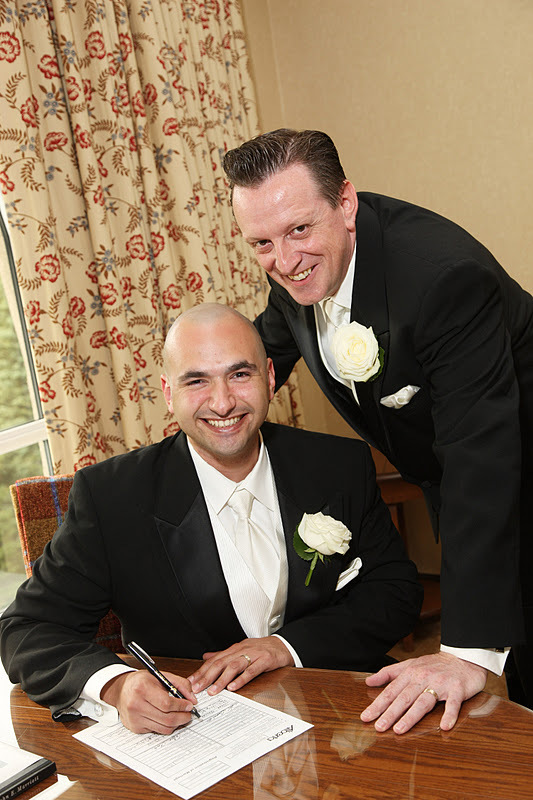 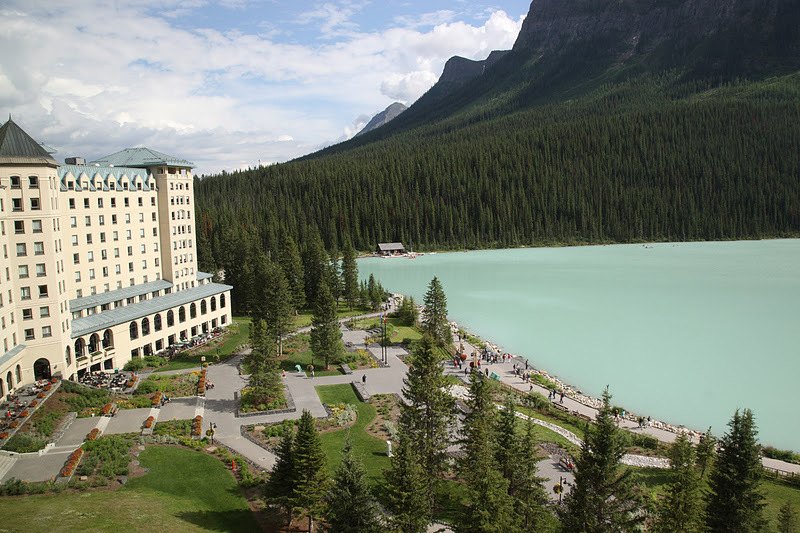 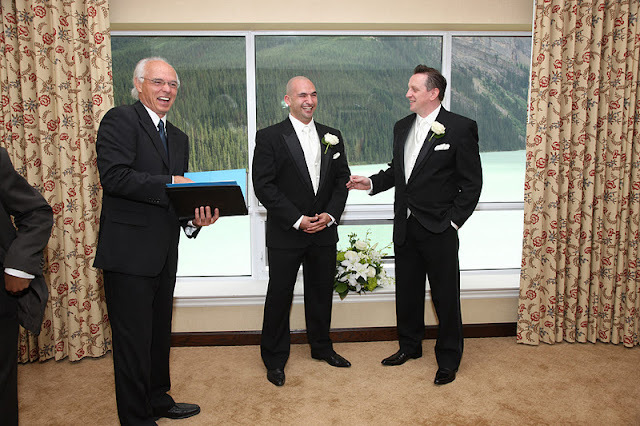 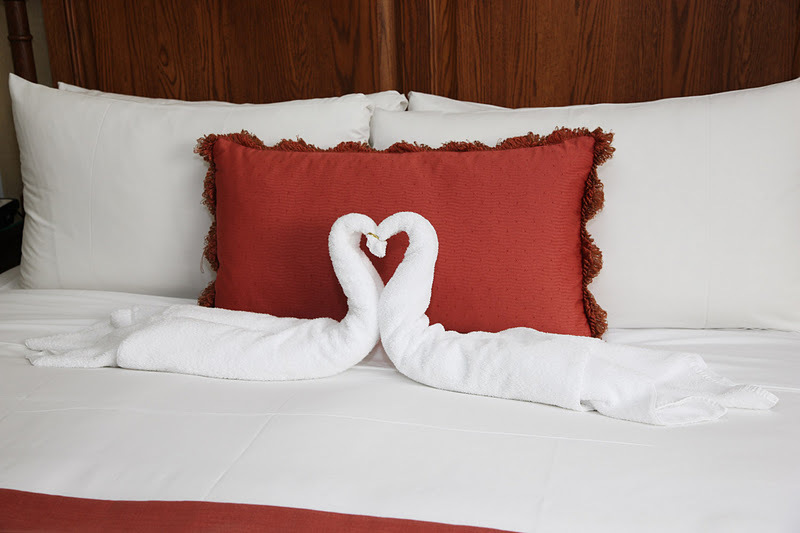 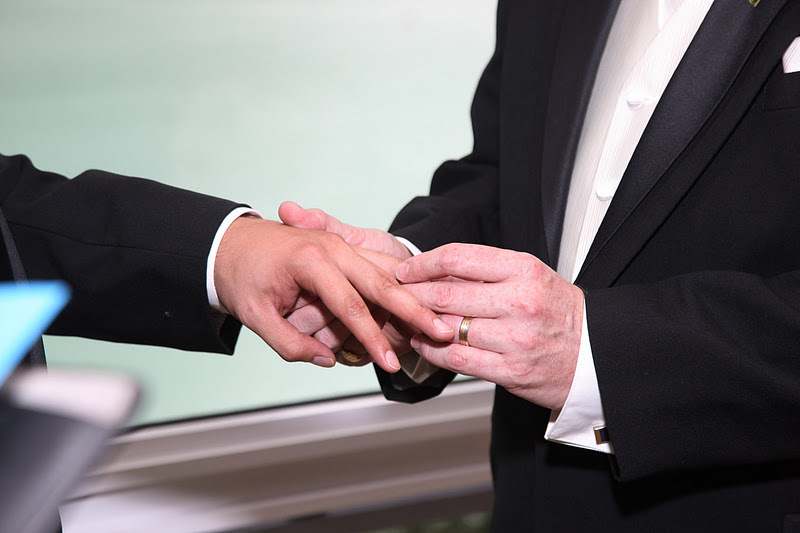 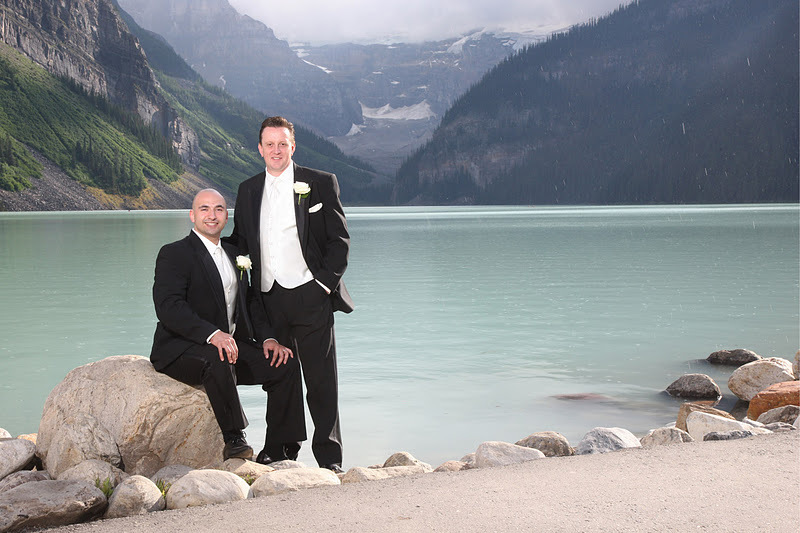 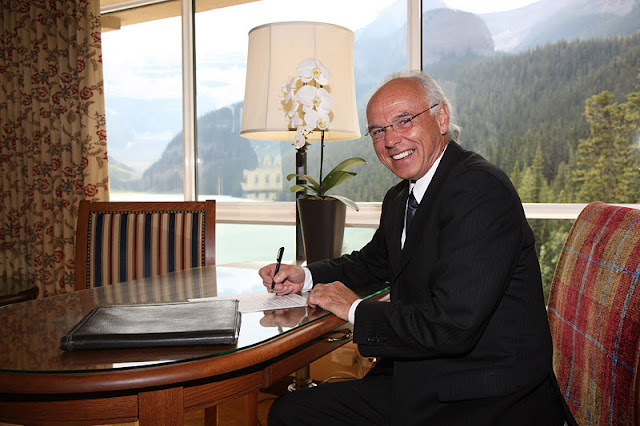 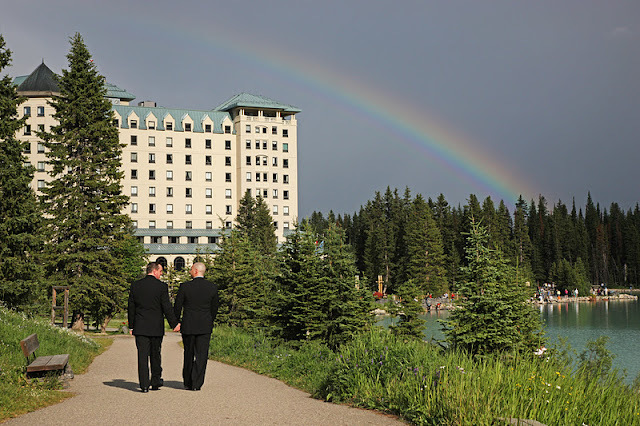 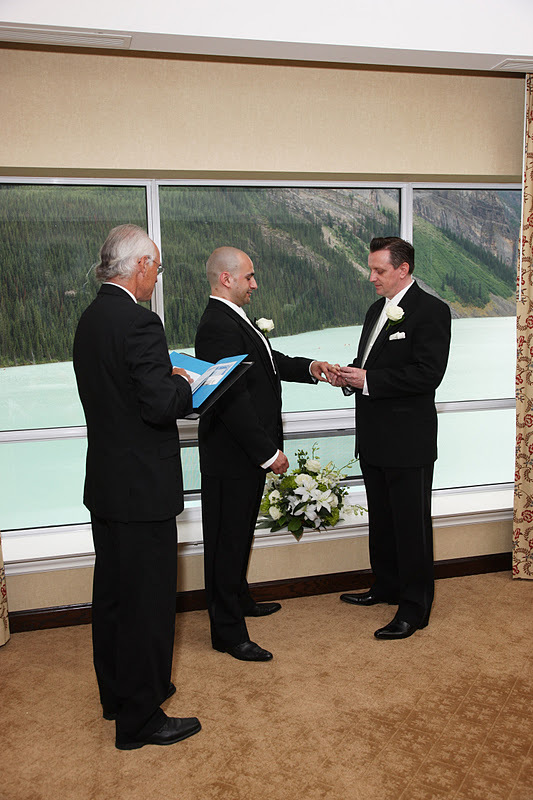 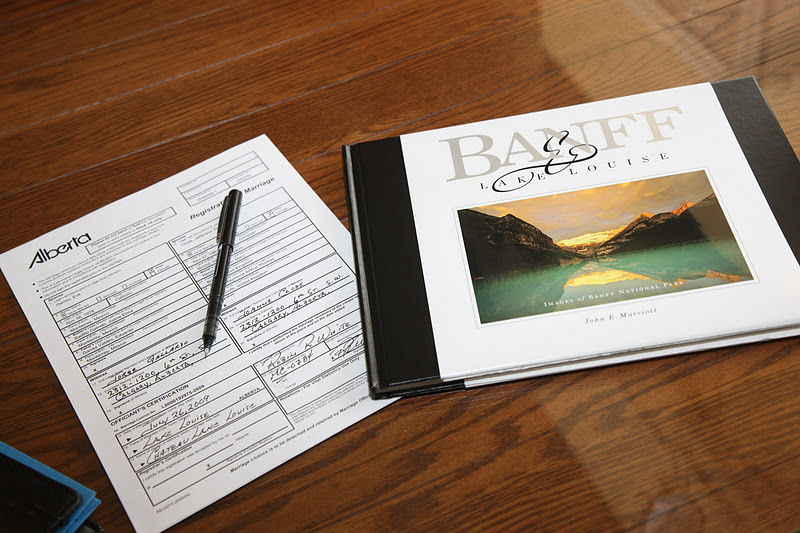 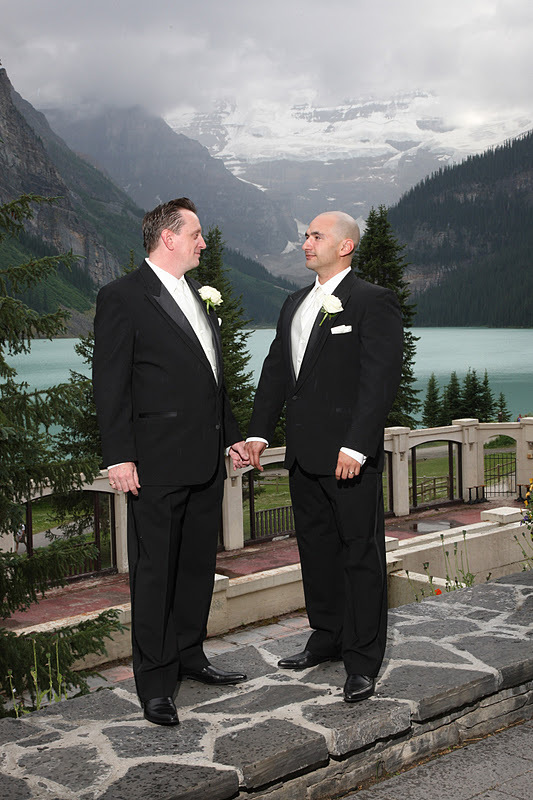 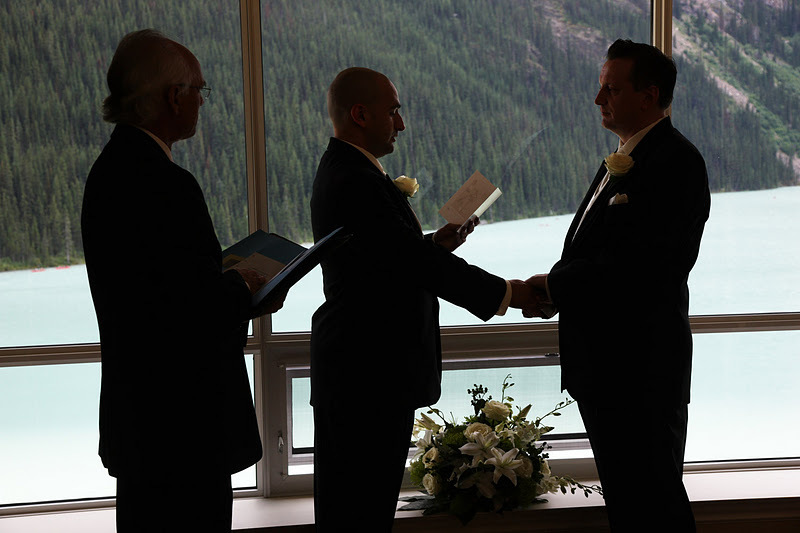 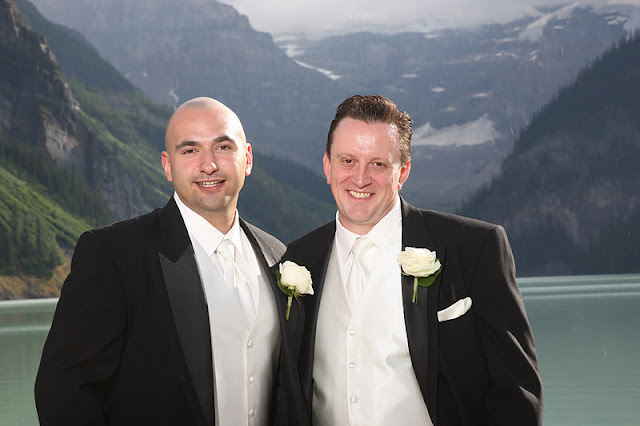 The ceremony took place in their private suite at the Chateau Lake Louise. 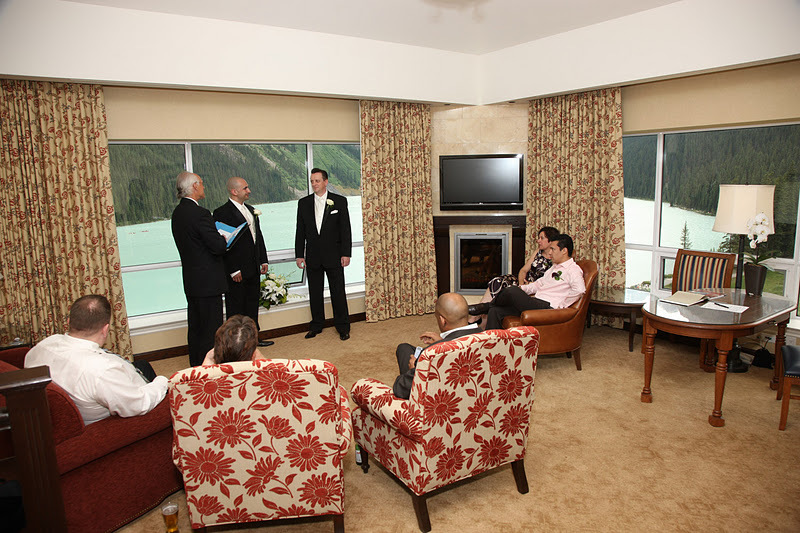 Look at the Magnificent View out of the windows! At the perfect moment, a rainbow appeared in the sky. 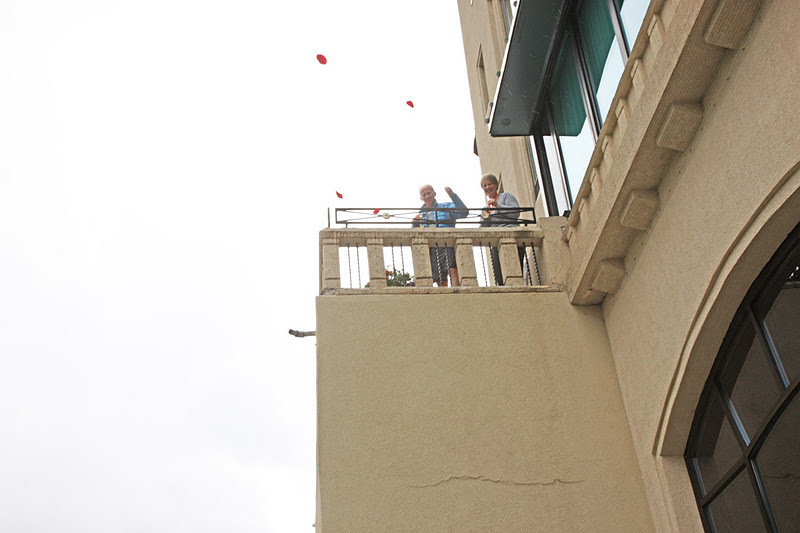 Congratulations to Erik & Jefferson! 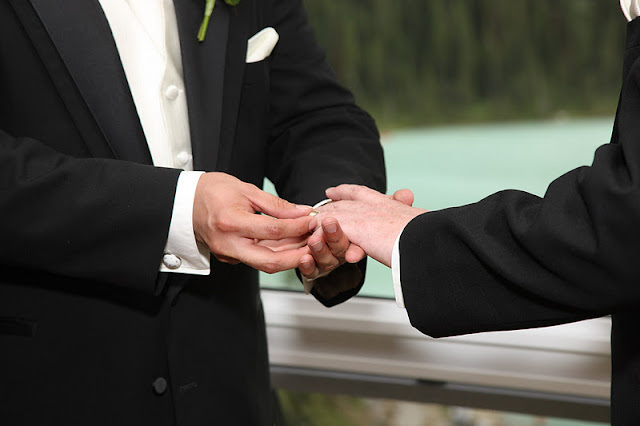 Wishing you a lifetime of Happiness toghether.